Old nylon fishing nets and other Nylon 6 waste are 100 per cent regenerated to gain the so-called ECONYL® yarn for Aquafil. It is processed to make a metallic-look surface that shimmers in shades of silver and gold and lends a high-quality appearance to the carpet. 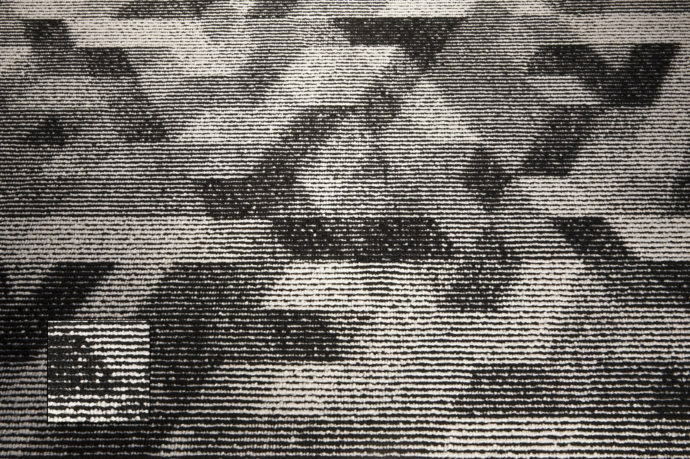 Thanks to new tufting technology with a structured loop, four-colour patterns can be made without printing. 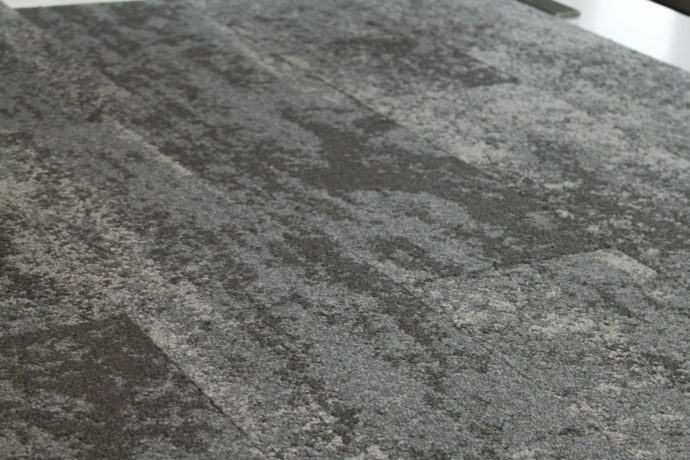 Stony Beach carpet tiles have no pattern repeat, which results in less waste. Their special TEXtiles backing dispenses with PVC and bitumen. 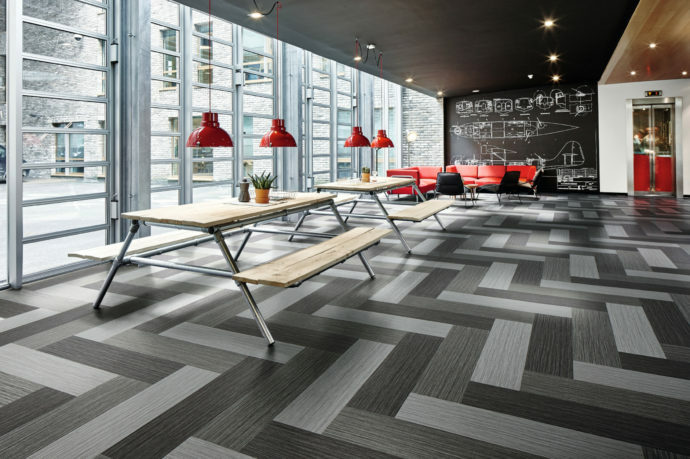 Flotex Planks are densely woven, waterproof, easy to maintain and resistant to bacteria. They are thus suitable for floors where hygiene requirements are high, for example in homes for senior citizens. The new plank size of 100 by 25 cm makes Flotex a real problem-solver. Sophisticated effects in gold, silver and bronze as well as a high-class geometric pattern characterise this outstanding design. 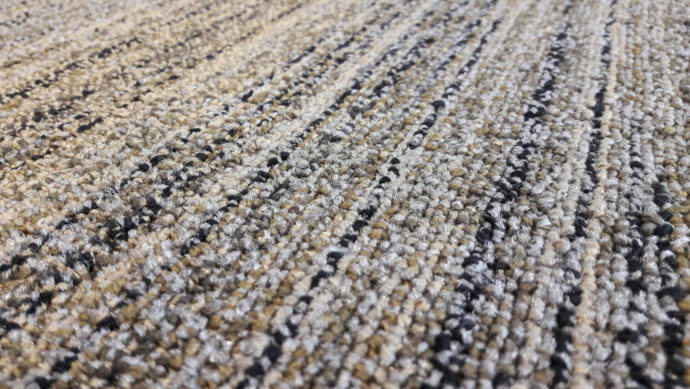 These carpets and tiles consist of environmentally friendly Econyl thread that is woven to a slightly irregular texture with a three-dimensional look.